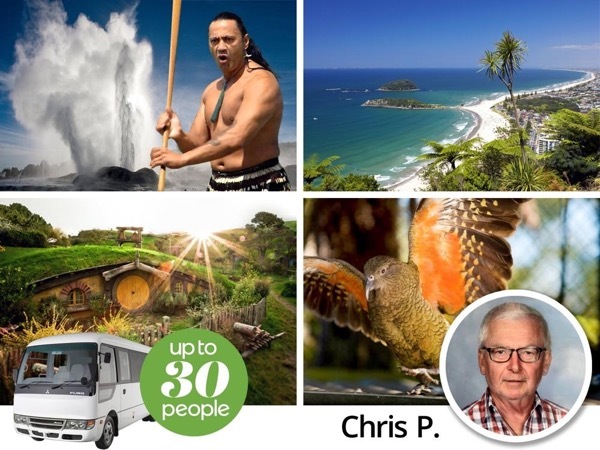 Local Private Tour Guide | Tauranga, New Zealand | Chris P.
"Chris gives amazing insights!! He has a deep appreciation for what makes New Zealand so fascinating… lifestyle, culture, so many wonderful stories". I look forward to meeting you & helping you to explore our beautiful country & our unique Kiwi culture. Your shore excursion will be a highlight of your cruise because we take you behind-the-scenes of our amazing country. From Tauranga we can visit awe-inspiring geothermal features, experience authentic Maori culture, visit remarkable natural places & learn about our people & our local environment. I work with an organisation that does just this - & I can show you it all - in depth! I have many years of experience leading US college groups around this fine country & my greatest joy is introducing people to our people & culture. With my previous experience as a tour guide, farmer, high school teacher & principal. I have lived, hunted & fished all over our country. "Thank you Chris, for taking us on this adventure, teaching us about this beautiful country & sharing your insights. :) I truly enjoyed our (too) short time together!" I offer custom, private tour experiences with unique content designed to give you a real appreciation of New Zealand. We travel to sites that offer so much in interpretive value & give you a sense of what actually goes on here - the context of the country is more than the content. So, come along. Let's have some fun as we uncover the mysteries of being a New Zealander & the special places that reflect who we are. 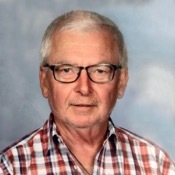 35+ years working as an educator (at all levels). Degrees in Geography & Anthropology. I work for an environmental education & ecotourism company with an established reputation as a leader in sustainable tourism. Qualmark Sustainable Tourism Business Silver Award. Department of Conservation Approved operator status to work & lead in our national protected environmental areas.